Technology is certainly on the roll with the Universal Series Bus or USB, an industry standard that establishes specifications for cables, connectors, and protocols for connections. Last month, The USB Implementers Forum (USB-IF) announces the launch of the USB 3.2 specification with the Gen 2x2 offering speeds of up to 20Gbps. Devices that will be incorporating USB 3.2 is said to be released this year which comes in Type-A and Type-C connectors. 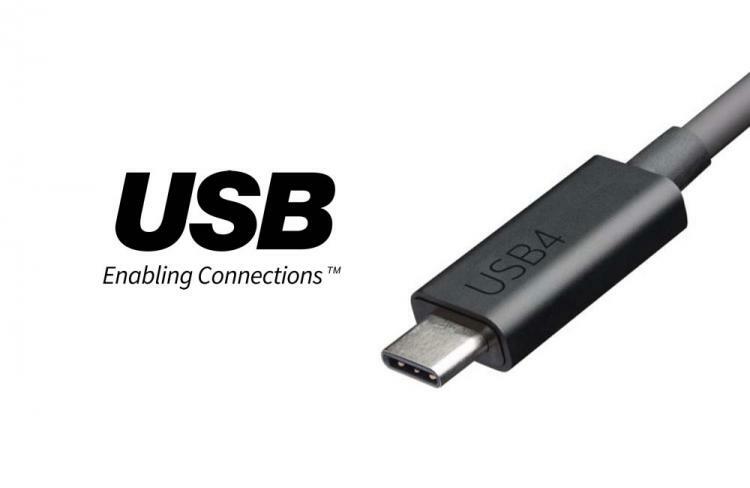 Today, USB-IF announces the next-generation USB protocol architecture that offers double bandwidth for USB Type-C – the USB4 specification. The USB4 architecture is based on the Thunderbolt protocol which has been contributed by Intel. It doubles the bandwidth of USB and enables multiple simultaneous data and display protocols. The new USB4 architecture defines a method to share a single high-speed link with multiple end device types dynamically that best serves the transfer of data by type and application. USB4 specification will be compatible with existing USB 2.0, USB 3.2, and Thunderbolt 3 devices and hosts. USB-IF is working with over 50 companies that are actively participating in the development of the USB4 specification. USB4 aims to bring better experiences to consumers with its high throughput and advanced features to be made available to the consumer, enterprise, and intelligent edge markets.